SPENT! is a touching drama that will take you on Cheryl Johnson’s breathtaking journey. Pretty, poised, articulate and fashionable, Cheryl (Tracey Costello) seems to have it all, but she also holds a secret. Cheryl has fallen prey to the American Girl “Shop ‘till you drop” syndrome. 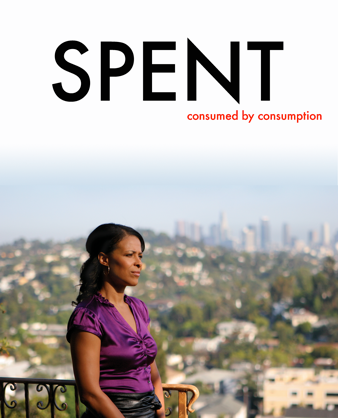 She is consumed by consumption. Her co-workers have no idea that Cheryl has a shopping problem, which has quickly gotten out of hand. Now, this ambitious real estate agent is desperate to sell a house in order to stay afloat. Little do those around her know her ship has already sunk. Join us for Cheryl’s dramatic journey featuring veteran actors Lee Garlington (SOMETHING NEW, AKEELAH AND THE BEE and many more) with a special cameo from Bradford Bancroft (BACHELOR PARTY).